Hypertension may be viewed as being primary (essential) hypertension or as being secondary hypertension. Essential hypertension does not have an easily identifiable or specific cause and can usually be controlled with two or three drugs. Secondary hypertension is caused by something which may be correctable. In patients who have resistant hypertension (more than three drugs required), there is often a component of secondary hypertension. 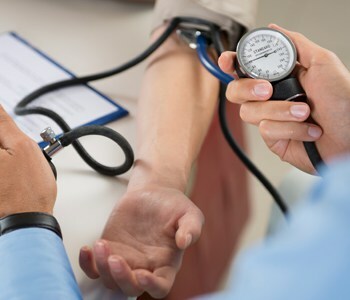 Common causes of secondary hypertension include obesity, obstructive sleep apnea, kidney disease, excess dietary salt and interfering medications. Some of the drugs that can make blood pressure worse include arthritis medications, decongestants, steroids, diet pills, hormone replacement therapy, alcohol and some herbal compounds such as ephedra and ma huang. Less common, but often very important, would be a blockage in a kidney artery or hormone producing tumor. “Secondary hypertension can and should be treated,” says William K. LaFoe, MD, FACC, FSCAI, interventional cardiologist and specialist in Clinical Hypertension at Saint Francis Medical Center. Renal artery stenosis, when it is severe, can be treated with a stent to open blockage and improve the blood pressure. Treating sleep apnea not only improves blood pressure control, but is effective in reducing cardiovascular complications. “Identifying a secondary cause can lead to more targeted drug therapies and more effective medical management of hypertension,” says LaFoe. New treatments to become available in the future include renal denervation, starting clinical trials in 2015. This procedure, already available in Europe, uses radiofrequency energy, delivered through a catheter inserted in the kidney artery to ablate (essentially cut) the nerve supply to and from the kidney. This will likely be beneficial in patients whose nervous systems are “in overdrive” and overstimulate the kidney leading to resistant hypertension.